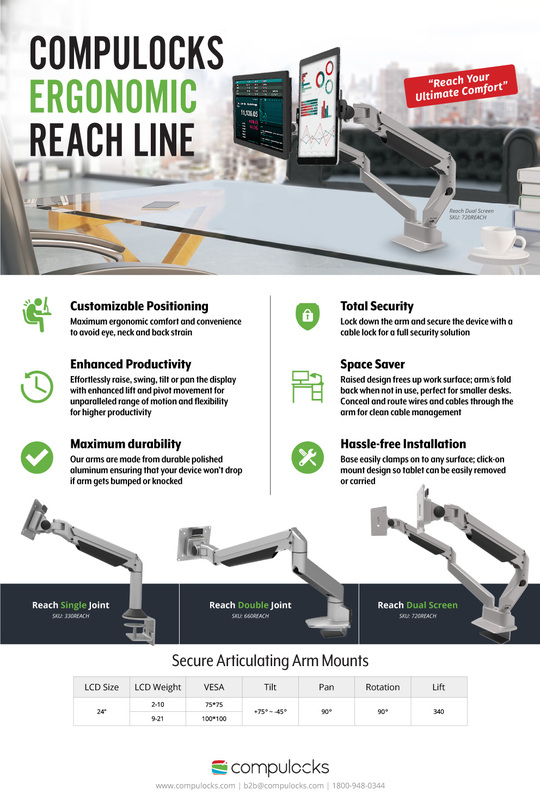 The Reach is an articulated arm desk mounted stand with cable management. A slide on and off 75x75/100x100 threaded VESA mount allows you to connect all of our enclosures and many screens up to 24 inches. Each screen can individually adjust the range of motion including tilt, swing and pan with tightening bolts to secure the angles.